Gold three tiered tray perfect for cake, wedding cakes, dessert, candy buffets, Birthday parties. This beautiful stand is a stunning piece perfect for dessert buffets, cake tables, wedding cakes. Size: 85cm Height x 50cm x 30cm. 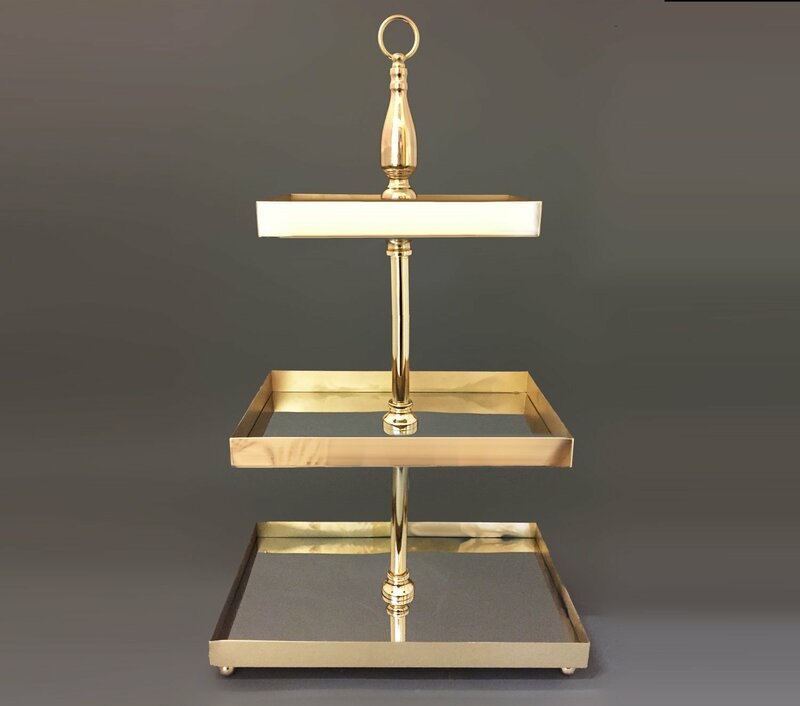 These stunning gold mirrored three tier cake stands make a statement. Measures 80cm high, bottom tier measures 50cm x 30cm. Also come in a two tier. Available to hire in Victoria, Queensland & Northern NSW. We can also deliver and pick these up for you at an additional cost.